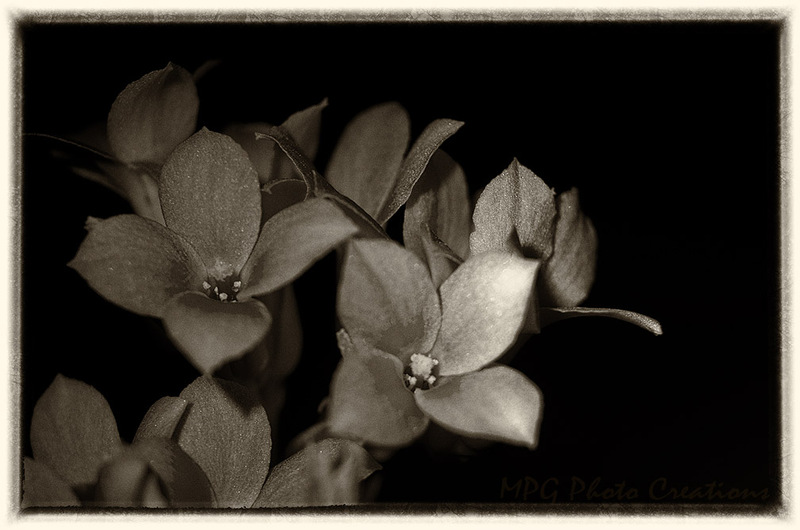 These are some Kalanchoe blooms that I processed in B&W. I thought it worked very well with the type of light they were receiving. Brought out the textures well.